Competition-Grade Samoan Fire Knives Available Now! Mikaele Oloa, co-founder of Oahu's Samoan Fire Knife School, has turned his love of dancing with fire knives into crafting them. His many years of dancing has allowed him to design his own unique type of knife which is streamlined and light. His line of knives include adult single/double knives, children's single/double knives, taupou knives, boards and wick. 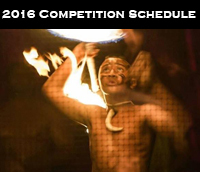 March is approaching and so are the 2016 Dance Competitions. 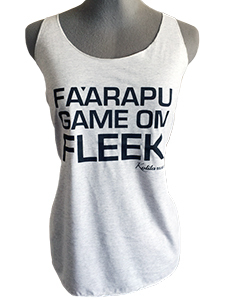 Last fall we released our "Fa'arapu Game on Fleek" tanks and they sold out immediately! Get your tanks today and wear them with pride! We adore and respect all dancers and created this shirt so that you can show your adoration for Tahitian Dance! 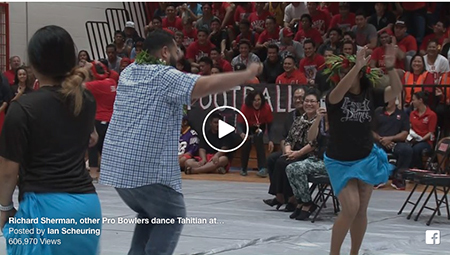 Kahuku High School Welcomes NFL Football Players for the 2016 ProBowl! Natalie Oloa of Kalena's Polynesian 'Ohana was lucky enough to be visited by the NFL Players this year. 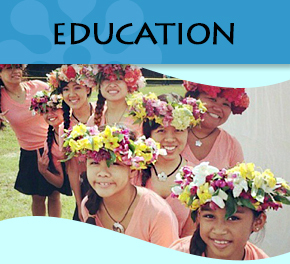 She is a senior in high school and is enrolled in the Polynesian Dance Course offered at the North Shore High School. 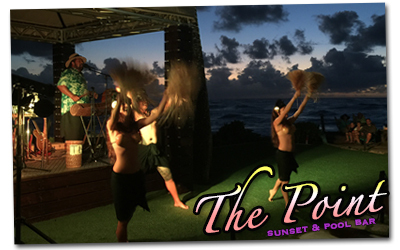 She is pictured here on the right dancing with Chris Kemoeatu of the Pittsburgh Steelers. you'll have a chance to join in so be ready to dance! 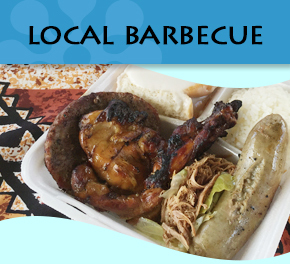 ENJOY THE ISLANDS WITH KALENA'S AT TURTLE BAY! We are an 'Ohana so we celebrate as an 'Ohana! Kalena's originally began as a dance school in the 1980s and have been competitive in Tahitian, Samoan and Hawaiian dance. 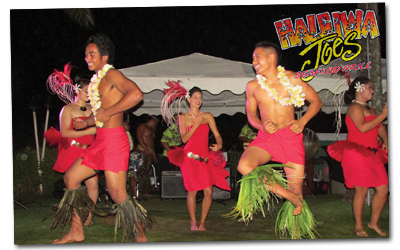 We offer classes in Hale'iwa, HI and Orlando, FL. 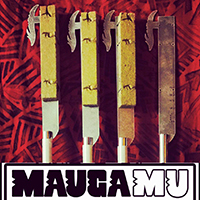 We are most known for our famous Samoan Fire Knife School, Mauga Mu: creating multiple fire knife champions! For more info on classes, click here. Iwalani's famous banana bread will be on the menu as well! Our newest addition to our company is our retail department. Our booth sells beautiful island jewelry, accessories and artwork. Our online shop consists of clothing, dance costumes and dancer's accessories. 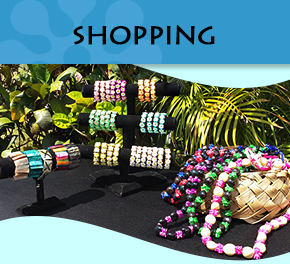 You can find our pop-up shop at Turtle Bay Resort on Wednesdays and Sundays.